When someone passes away, the normal course of events would require that their will be submitted to probate, and then processed so that the beneficiaries may receive their inheritances, if any. However, not every will is a true expression of the testator’s (the maker’s) wishes, and if you fear that your relative may have been unduly influenced, or if there is another problem with their last will, you may decide to contest the will. Doing this can be a delicate process, and it must be initiated within a short, specific span of time. 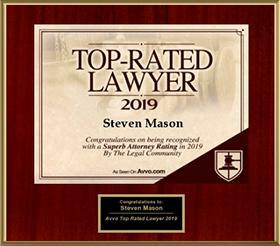 Having an experienced attorney on your side can be a great help. Undue influence, when a beneficiary exerts influence or control over the testator in the execution of their will, and takes an active role in procuring it. These are the only grounds on which a person may challenge a will, and they must be an “interested person” – they must reasonably be expected to be affected by the decedent’s estate being administered. 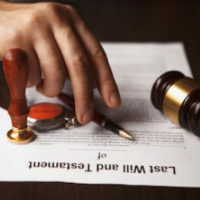 If you lack legal standing, you may not sue to contest the will, no matter what evidence of wrongdoing you may possess. It is imperative to understand, if you do believe you have a case to contest your loved one’s will, that time is of the essence. Florida law only permits challenges within 90 days (3 months) of the Notice of Administration going out (the Notice of Administration is the notice advising beneficiaries that the decedent’s estate is being admitted to probate). In rare cases where Formal Notice of probate is received before the will is formally admitted, you will only have 20 days to file. Something you should also be aware of is that these time frames and standards also apply to trusts, real estate deeds, and insurance policy beneficiary designations, not only wills. The public policy of the state of Florida is to allow challenges to these specific instruments at specific times, because failure to do so would arguably cause more problems than it would solve. If you think wrongdoing has been done, you do have a chance to act. It is untenable for most people to think that on top of losing a loved one, they might lose any right to an inheritance as well. 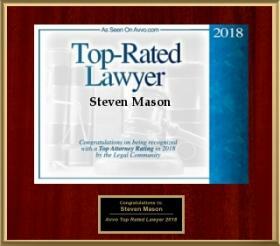 If this is your situation, contacting the Law Offices of Steven A. Mason, P.A. may be the first step toward making things right. 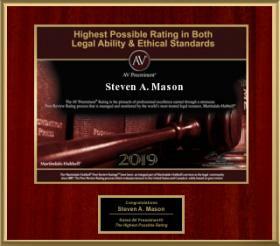 Our firm has been handling these cases for years, and we are ready and willing to try and assist you with yours. Contact us today to schedule an appointment.